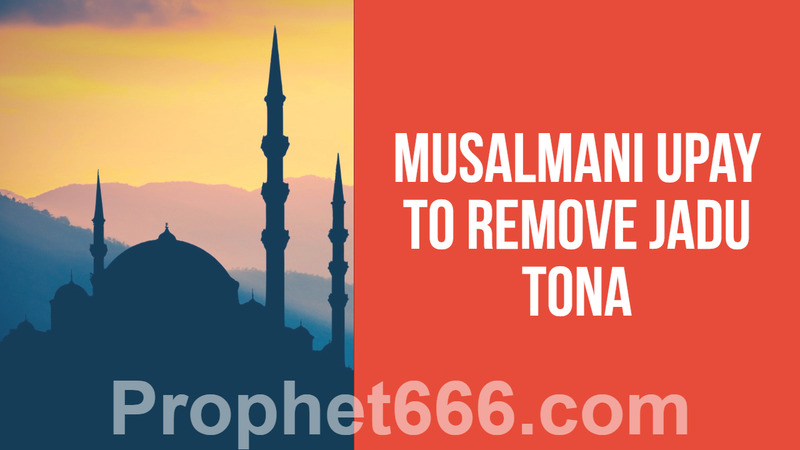 In this post, I have written about a Musalmani Totka to get rid of Black Magic performed by any evil spell caster on a particular house and the inmates of that house. This is a onetime paranormal remedy and it is so simple to practice that any person can perform it in order to remove Jadu-Tona from his house. For practicing this Muslim Jadu Tona Removal Upay, the practitioner should have faith in the powers of a Peer and would have to visit a Dargah of a Peer, in order to practice this Upay. There are Dargahs of Peers in most towns in India and the practitioner can visit any Dargah, in order to complete this Upay. If you do not have faith or belief in Peers and Dargahs, then it is advisable not to proceed further with this remedy. The remedy is practiced by following the two simple and easy to perform steps described below. 1] On a Saturday, boil 300 grams of Sabut Urad Dal and the prepare three round Ladoos like shapes from the boiled Urad Dal. Then, at night, go to any Chouraha and secretly keep these three Ladoos on the Chouraha and go back to your house, while going back to your house do not glance back over your shoulder. 2] Then, on the next day, which is Sunday, prepare Sweet Rice or Mithe Chawal using 250 grams of rice and take it and offer it the Dargah of a Peer. Performing this Totka is said to remove the Black Magic from the house and give relief to the inmates and reverse the Black Magic back to the person who has cast the Black Magic Spell. vinay muslim mNtra not for bad purpose okk? ?its cure black magic evils got it?? hello sir i believe peer dargah so much..wo sabit dal ko utara karke rakhna hai ya aise hi? ?kya khid victim ye karsakta hai kab kitni bar karna hai? Thanks mahi, I am not oppose of any religion however I only need cure.